Invest in the Schlage S-series and you can lose your keys for good! Available in three sleek and stylish designs, this reliable security solution doesn’t require any hardwiring, so it’s easy to install. The affordable product is battery powered to ensure that your lock will work even if the power goes out. 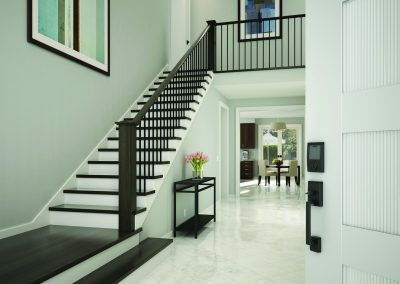 With multiple options for accessibility, including pin, fingerprint, card and wristband technology, as well as single-use access codes for visitors, the Schlage S-6800 is the perfect security system for your front door. Featuring a weather-resistant design with an illuminated keypad, the device is as easy to use as your mobile phone. Additional security features include automatic re-locking, and a built-in alarm system that is designed to sense a potential invasion. With a two-year warranty, the Schlage S-6800 will give you peace of mind that your home will be safe even in your absence. Schlage, an Allegion brand, is a global industry leader in the manufacture of security products, as well as consultation services and system integration. The company is a trusted supplier of residential door hardware to distributors across Australia.